Kanye West fell asleep at North's birthday party, Drake and The Game shot their '100' video and Jhene Aiko and Chris Brown paid tribute to Tupac. 1. 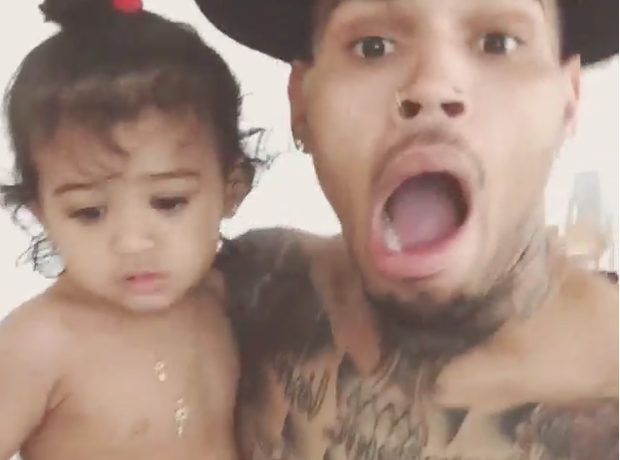 Chris Brown and Royalty were playing around on Instagram, being cute as ever. 3. Chris Brown shared this photo of himself alongside Tupac Shakur. 4. Kanye West fell asleep whilst watching a show in Disneyland for North West's second birthday. 5. There was no sleeping for Kim Kardashian, who had selfies with Mickey and Minnie mouse. 6. Tyga and his son King Cairo were invited to join in the celebrations. 7. Jhene Aiko recreated iconic Tupac photos to celebrate his birthday. 8. Beyonce wore denim-on-denim-on-denim and it worked. 9. Drake and The Game shot the video for '100' in California.